While all those folks are lining up at Mc Donalds to try out the new Angus Burger Wrap, I wonder how many of them are aware of the news about the grave danger of increased fat around the waist. A study published yesterday in the Archives of Internal Medicine stated that carrying too much fat around your waist is harmful no matter how much you weigh. It has been reported widely on TV, newspapers and the web. Time Magazine’s wellness blog said the study covered more than 100,000 Americans aged 50 or older. It said that those men and women carrying the most belly fat had around double the risk of death as the folks with least fat around their waist. According to Bloomberg News the type of fat found around the abdomen can cause inflammation in the body and increase levels of insulin and cholesterol in the blood, lead study author Eric Jacobs said. Larger middles have been linked in previous studies to higher death rates, as well as to diabetes, heart disease and high cholesterol, the authors wrote. Jacobs wrote in an August 6 email, “Even if your weight is considered ‘normal’ for your height, keeping your waist size in check is important for your health.” Perhaps most importantly, Jacobs said, “Even if you haven’t had a big weight gain, if you notice your waist size increasing, that’s an important sign it’s time to start eating better and exercising more,” Bloomberg reported. Men with waist sizes of 40 or more inches and women with waist sizes of 35 or more inches are considered abdominally obese, Jacobs said. 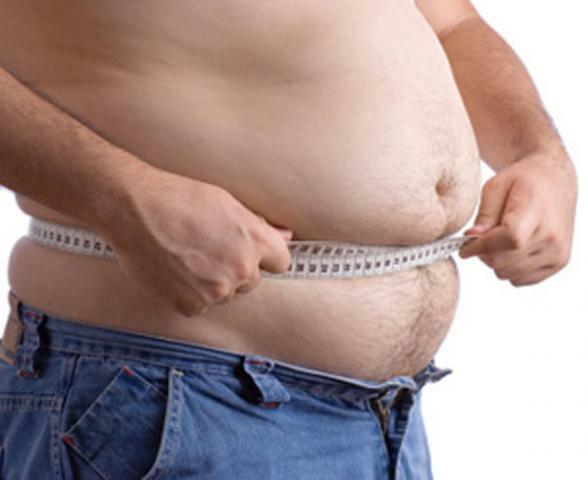 You can read How Does Obesity Affect You? here. There is also How Bad is Extra Belly Fat? I have a Page – How Dangerous is a Big Belly?